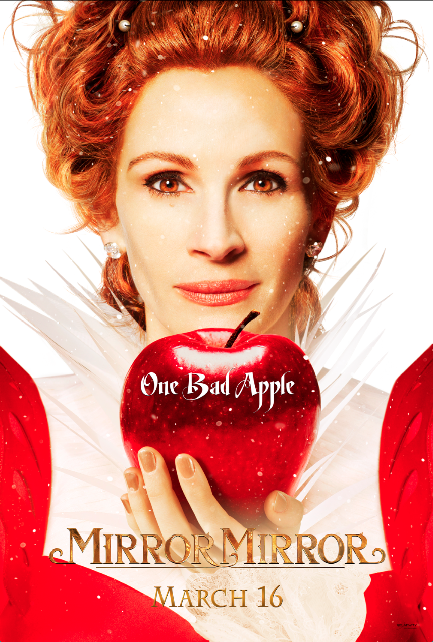 Relativity Media Release First 2 Posters for Tarsem Singh's Snow White Adaption 'MIRROR MIRROR'! Relativity Media have debuted two new posters for Tarsem Singh's Snow White adaptation Mirror Mirror. 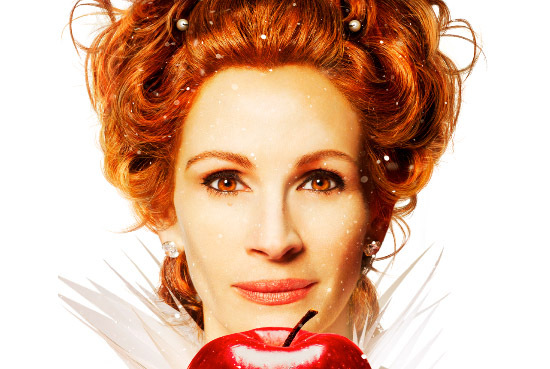 The movie retells the classic tale of an evil Queen [Julia Roberts] who steals control of a kingdom & an exiled princess [Lily Collins] enlists the help of seven resourceful rebels to win back her birthright in a spirited adventure comedy filled with jealousy, romance & betrayal. The movie also stars Armie Hammer [The Social Network] as Prince Andrew Alcott & Nathan Lane [The Birdcage]. Hit the jump to check out the posters. I'm reading: Relativity Media Release First 2 Posters for Tarsem Singh's Snow White Adaption 'MIRROR MIRROR'!Tweet this!